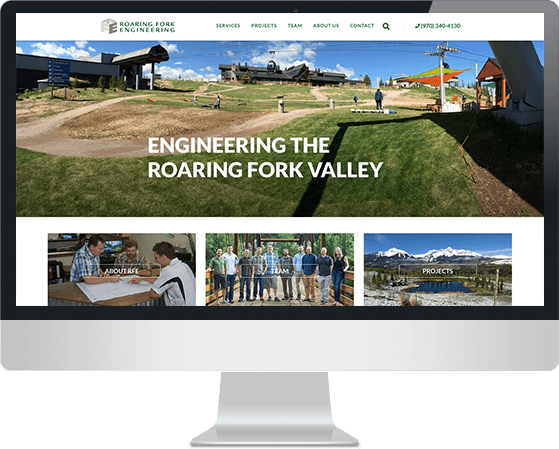 Roaring Fork Engineering provides expert civil engineering guidance in land development, water resources, construction administration, and more to the central Rocky Mountain region and beyond. As a modern era engineering firm located in a coveted small mountain town, they consistently seek to engage the best and brightest in the field, making the page designs of both their Team and Projects especially important. RFE masterfully takes on their client’s many challenges while keeping the environment and the community in mind and crafts solutions that positively impact everyone involved. We were proud to partner with RFE to design, build, and deploy their attractive and informative website to better serve their talent recruitment needs as well as serve as a platform for prospective clients. By providing a unique design that showcases their current and past projects on an easy-to-update, user-friendly platform, we empowered RFE’s team to find their ideal clients and future teammates. The RFE team thrives on the fast-paced nature of their workplace environment while still embracing a culture that values a good work/life balance and the custom website design illustrates those values. 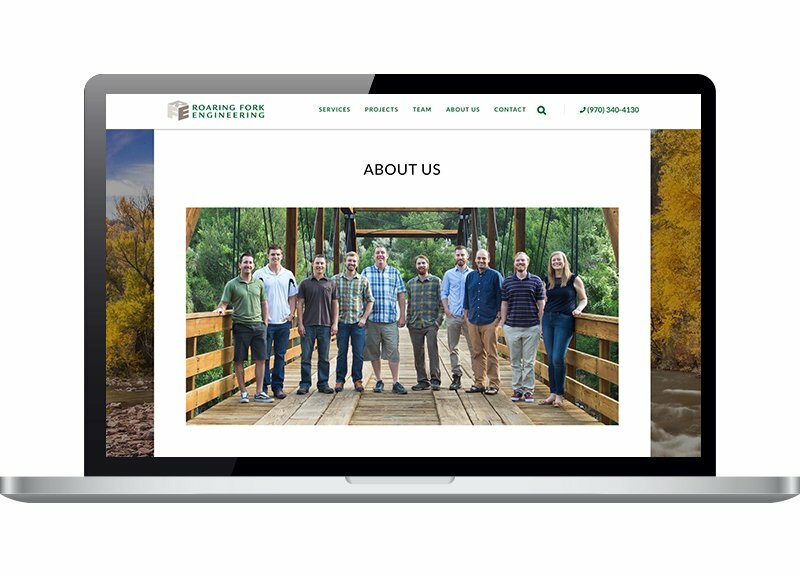 As a highly capable team of civil engineers, RFE was excited to learn how to update their own website. With our training program that accompanies every website build, we were able to help RFE become independent website managers, allowing them to update every aspect of their new site and empower them to be consistent and fresh with every new project. 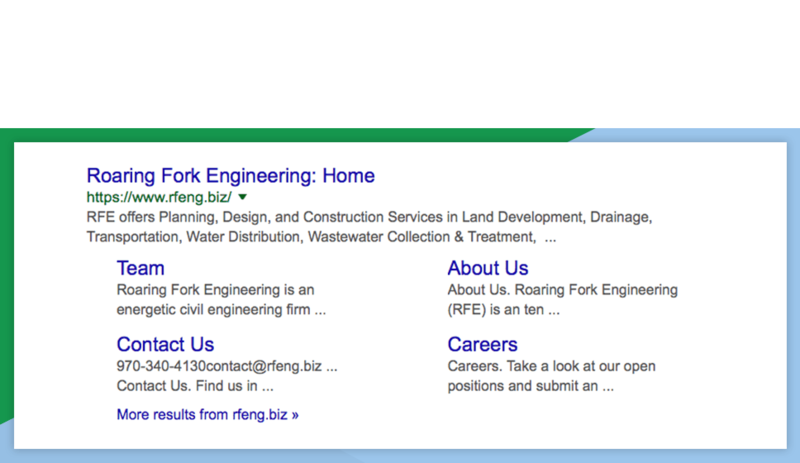 With every website FootSteps Marketing deploys we include a standard SEO set up. Our SEO strategy employs organic search tactics, ensuring content on the site is built with keywords that will drive search engines to validate the company’s industry knowledge and authority, thusly ranking the site higher in online searches. 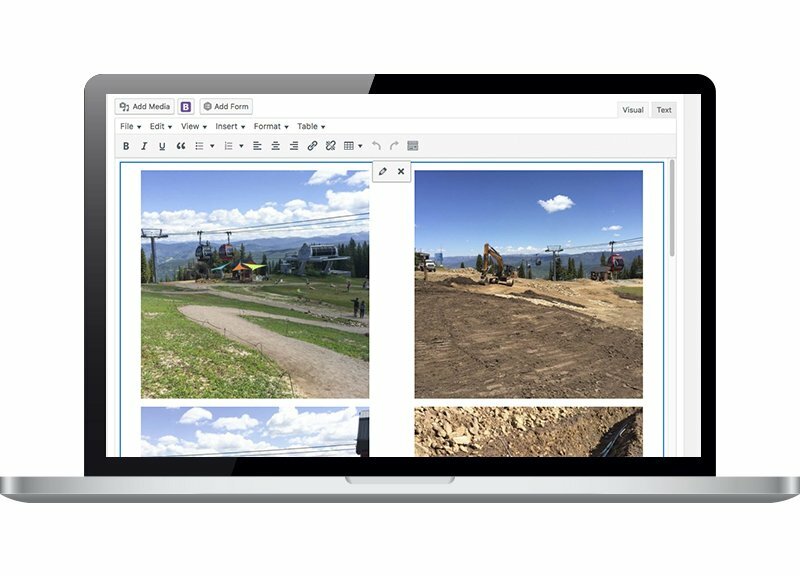 In a highly competitive industry like civil engineering, having fresh, relevant content will keep RFE on top of their game and ahead of the competition.